Long time no see! I’m so sorry for my long absence from blogging!! I’ve had a really bad couple weeks and I just couldn’t bring myself to cook or blog. My family’s cat of 18 years, Magic, died last weekend so I’ve been pretty upset about that. I was in 2nd grade when we got her and she was very important to me. I’m very happy for all the fond memories I have of her, but I miss her a lot. Even with all my stress at work lately, I’ve realized that cooking and blogging is something I really love to do so even though it may be extra work, I’m a lot happier when I do it. I’ve been a bit under the weather the past few days so I thought I’d make a hot soup to help make me feel better. 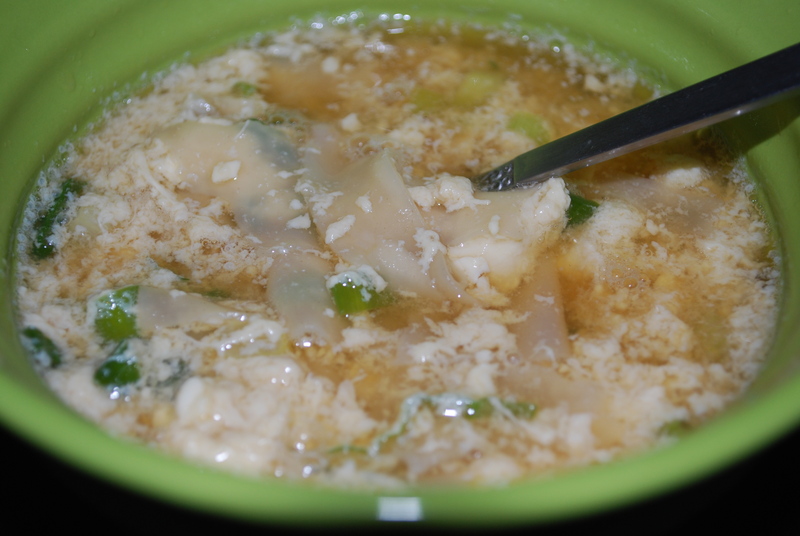 I chose to make Egg Drop Soup because not only is it delicious, but it’s very easy and most importantly QUICK! No one wants to slave over the stove for hours when they’re sick, so this is a great soup for those times when you don’t feel well or even just don’t have a lot of time to make dinner. First, bring 2 14oz cans chicken broth to a boil in a medium sized pot on the stove. I used Trader Joe’s Miso Soup broth. It was perfect for this soup! I loved it. Any chicken broth or even beef broth would work though. 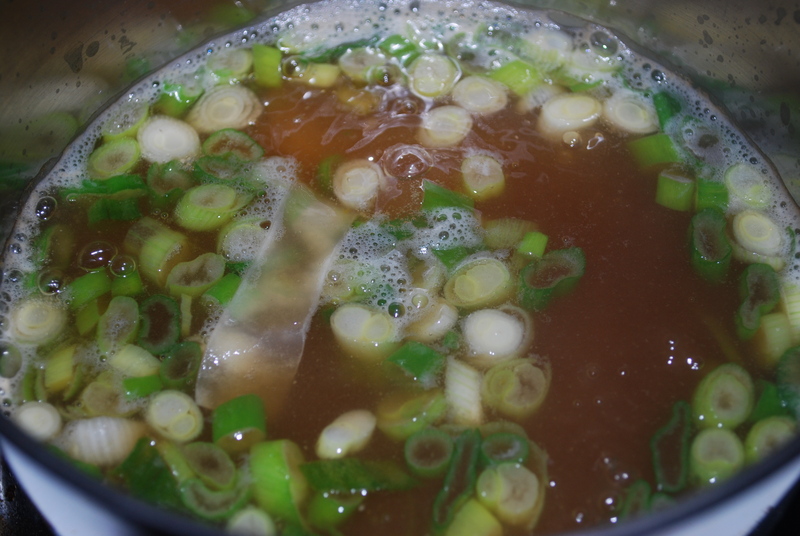 When the broth is boiling, add in 2 green onions that you thinly sliced ahead of time. Let the onions cook for about a minute. Next, cut 4 wonton wrappers into slices and add them individually into the soup. They’ll end up tasting like noodles! You could use egg noodles instead, but I really liked the wontons in here. Let them cook in the soup for about a minute. Whisk together 2 eggs and a splash of soy sauce in a bowl. Slowly drizzle it into the soup and let the soup cook for another minute. Add in some garlic powder and your soup is complete! 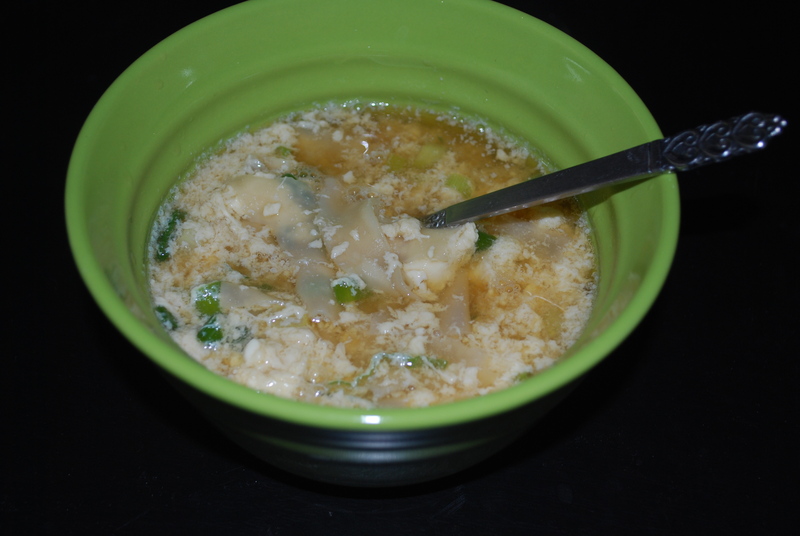 My version of egg drop soup is the ultimate speedy dinner, perfect for when you’re sick. 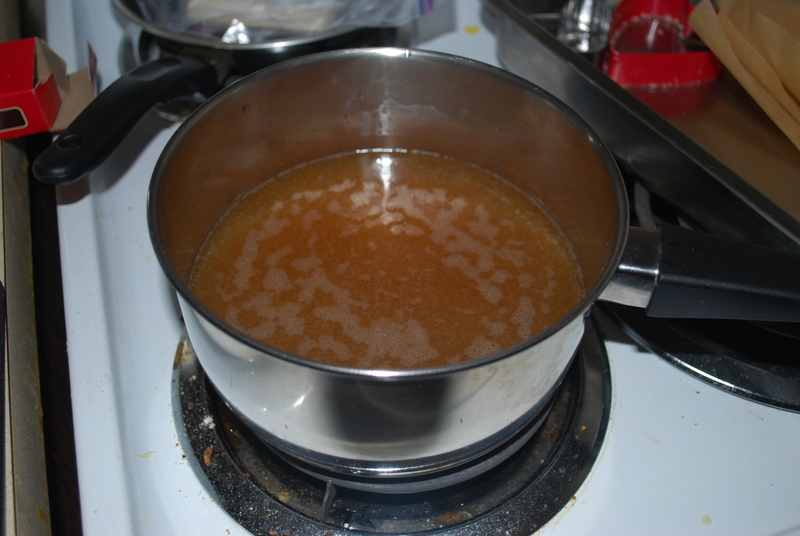 Bring chicken broth to a boil in a medium sized pot on the stove. When the broth is boiling, add in green onions. Cook for 1 minute. 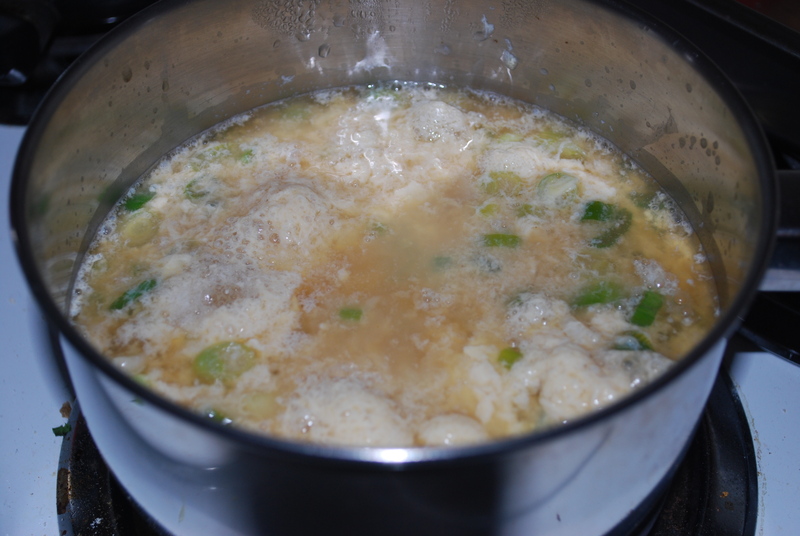 Add wontons individually into the soup. Cook for 1 minute. Whisk together 2 eggs and a splash of soy sauce in a bowl. Slowly drizzle it into the soup and let the soup cook for another minute. Sprinkle on some garlic powder. Add salt to taste. 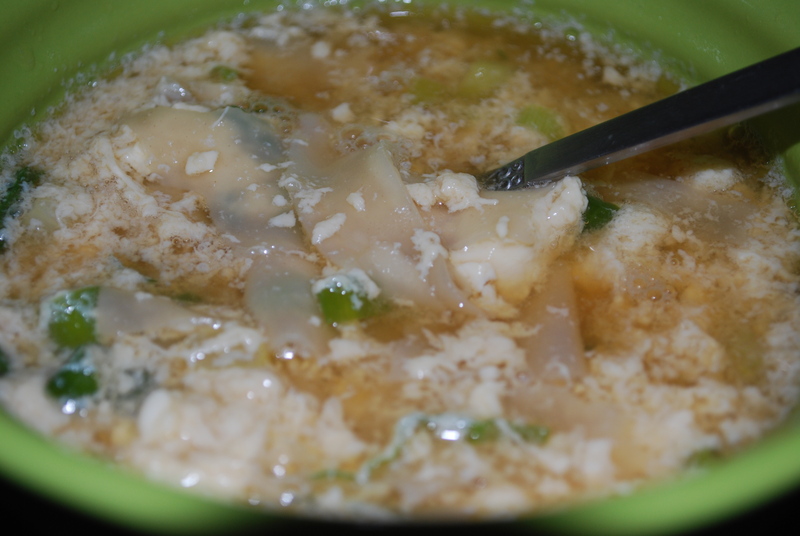 This entry was posted in Asian Inspired Food, Dinner, Lunch, Soup and tagged 5 minutes, easy, egg drop soup, eggs, green onions, soup. Bookmark the permalink.